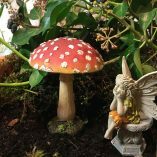 Inspired by nature’s Fly Agaric mushrooms, these imitation fungi make the perfect addition, brightening up your fairy garden. These colourful burnt orange & red toadstools have a flat cap, covered in textured white spots & a cream colour mushroom stem, attached to a useful moss effect base enabling them to stand. 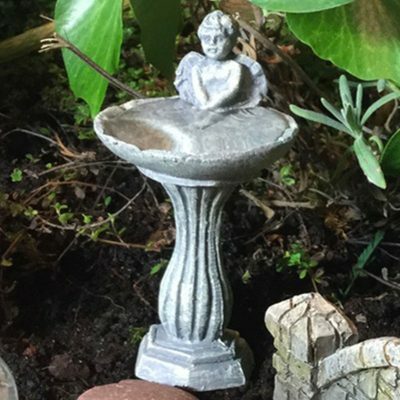 Place firmly on even earth on it’s own or dot a few amongst shrubs & plants. 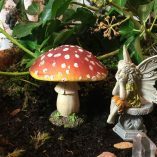 Create a special space for the fey where they can dance around a fairy ring or seek shelter under a protecting toadstool canopy. 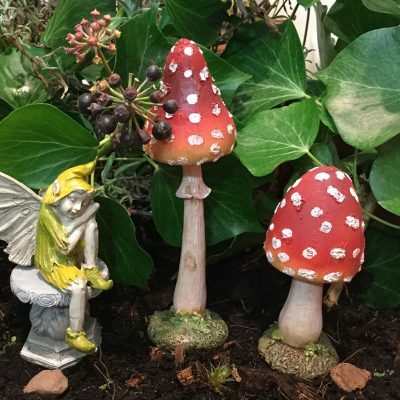 These delightful toadstools are made from resin & are brightly painted & decorated to mimic the Fly Agaric toadstool. 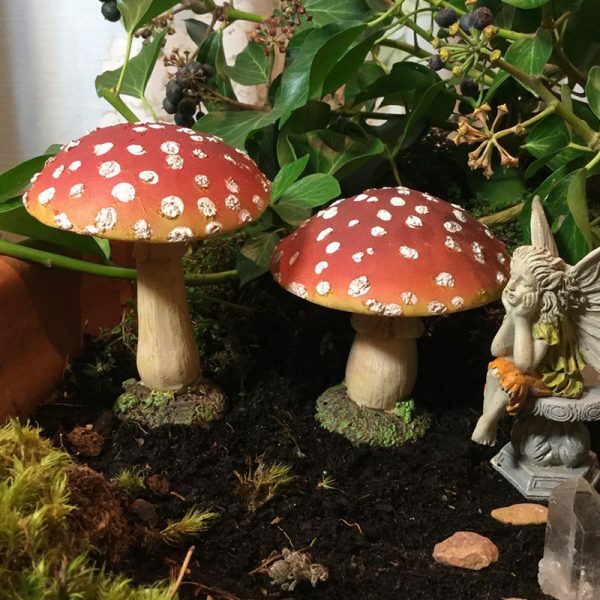 They are suitable for indoor use. 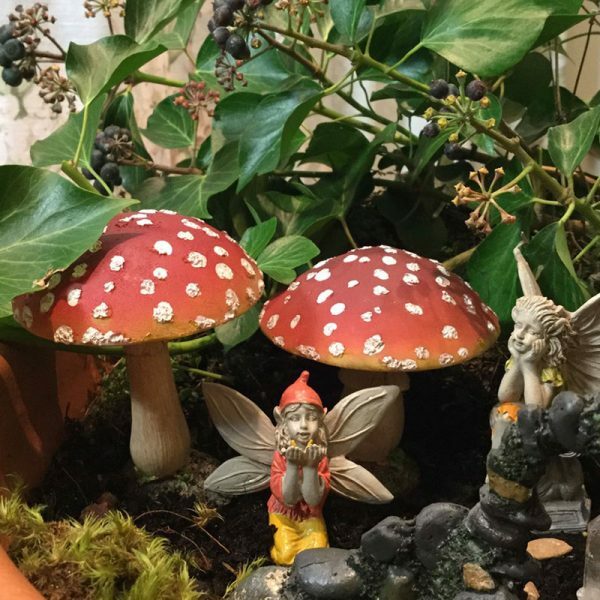 They can also be used to decorate outdoor fairy gardens & due to their bright colour they will naturally fade & weather over time with being left outdoors. They are NOT guaranteed frost proof, so we do suggest they are either covered or brought in during colder weather. 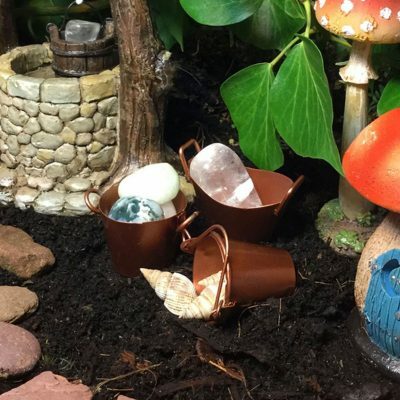 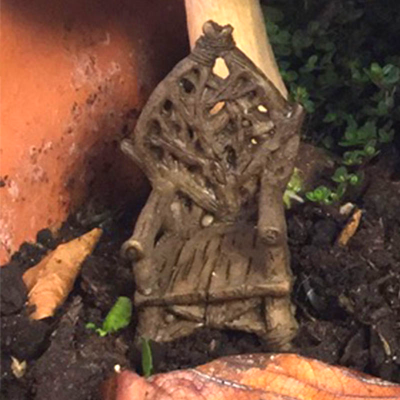 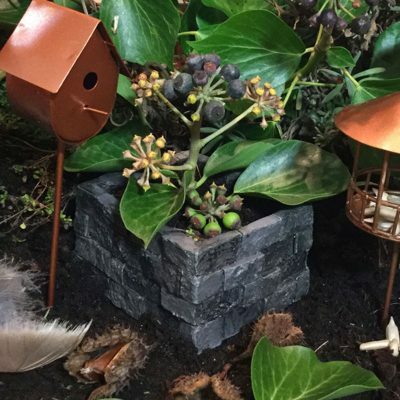 To truly connect with the fae your fairy garden is best sited outside or if inside incorporate house plants to invite the wee folk into your home. When creating your fairy garden, to keep the fairies happy, please make sure you choose a suitable area that is respectful to Nature so as not to endanger pets & wild life. 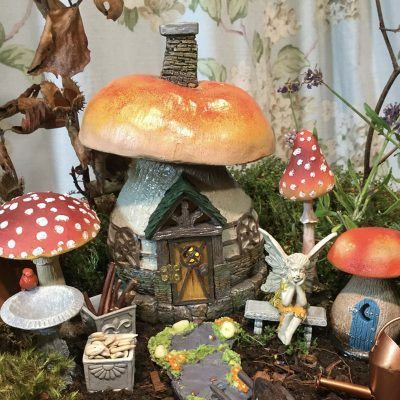 If your fairy garden is exposed to sunlight & extreme weather conditions your faery items will naturally fade & weather in time, allowing them to gracefully age.